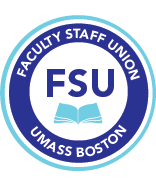 Baker’s language also supports the view that UMass has adequate funding in place to pay the salaries negotiated in your and other UMass contracts. UMass President Robert Caret is refusing to pay our raises, despite having received funding for them. So Governor Charlie Baker holds the same position as the one taken by former Governor Deval Patrick: that UMass received funding for all of its contracts in the budget for the current fiscal year. 2. And…this legislation has no additional funds for our raises. To get our raises, we are organizing weekly events. This week, there will be a lobby lunch this Wednesday in front of the elevator on the 2nd floor lobby of Quinn at 12 noon to protest the university not giving us our raises. The unions will supply dessert. Bring your bag lunch. 3. Finally, higher education employees are NOT included in the Governor’s early retirement program.